The Open Water Diver is the basis for exploring of the wondrous underwater world. Learn more here about the beginners course and start your diving adventure! Open Water Diver: The diving adventure begins! The Open Water Diver Certificate lays the foundations for future dives. 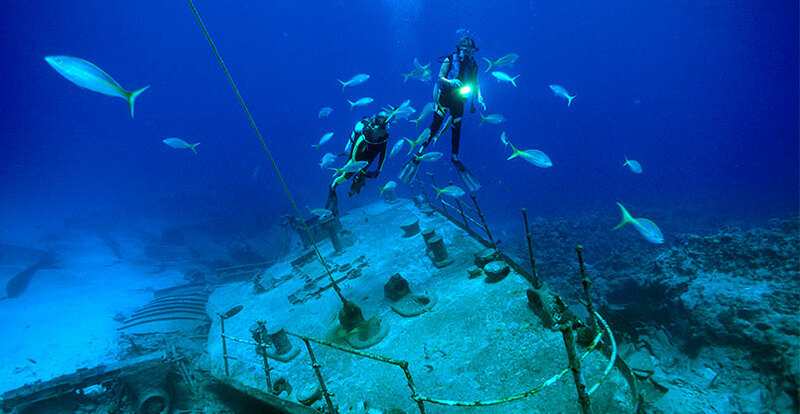 Find out what awaits you in the scope of the course – and then immediately immerse yourself in the diving adventure! Keen on diving? Start with the Open Water Diver now! You hardly wait to experience the fascination of diving yourself? Then start with the Open Water Diver! The course program of PADI and SSI teaches you all the skills and capabilities you need as a certified diver. The Open Water Diver is specifically designed for entry level divers. Accordingly, you do not need any prior knowledge for the course. You just have to be able to swim properly and be in good health. The minimum age for participation in the course is 10 years. Important: The certification for the Open Water Diver is the basic prerequisite for most other courses! That is why it is the cornerstone of any diving training. The Open Water Diver course provides you with all the basics you need to be able to safely dive. The light conditions in the water also differ from those on the land, depending on the level of sunshine, clouds or surface conditions. Violent water movements reduce the amount of incident light. In addition, the light, when it encounters water molecules, is diffused, softer, has less glare, and diminishes in intensity. This is called diffusion. The deeper we dive, the more the warm colors fade – red, orange, yellow – and at some point they disappear. Then we only perceive blue and violet. This phenomen is called asorption. The Open Water Diver course also includes the theory of diving. how to safely perform dives. In addition to the theoretical lessons, the Open Water Diver also includes practical modules. So expect 6 dives in limited open water (for example in the pool) and 4 free water dives. PADI vs. SSI – What is the difference? No question, as part of the Open Water Diver course, you will get the practical and theoretical knowledge you need to dive – whether you choose the PADI or the SSI course. 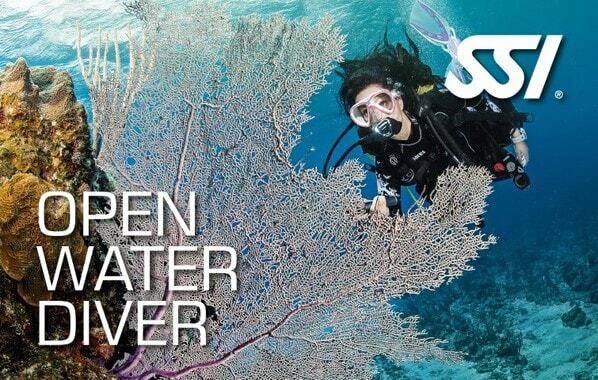 And with a PADI Open Water certificate you can also dive in every SSI diving center. This, of course, also applies the other way round. But what are the differences between the two associations? We have listed the most important differences for you. Teaching Methodology: The order of the learning modules is slightly stronger set for PADI than for SSI. Thus, an SSI teacher can also vary the scope of the course somewhat, in order to be able to better respond to the needs of the diving students. eLearning: While you have unlimited access to all eLearning documents at SSI, is the access with PADI limited to one year. Price: In direct comparison with SSI, PADI courses are much more expensive. One of the reasons for this is that PADI requires the purchase of learning materials – which can later be used to refresh the knowledge acquired. At PADI the course fee is already included in the certification and one year membership fee. SSI does not have such a thing. Number of dive centers: Both SSI and PADI are represented worldwide. However, since PADI is the longer-established organization, they have about twice as many diving centers as SSI. Save your vacation and start learning right now! 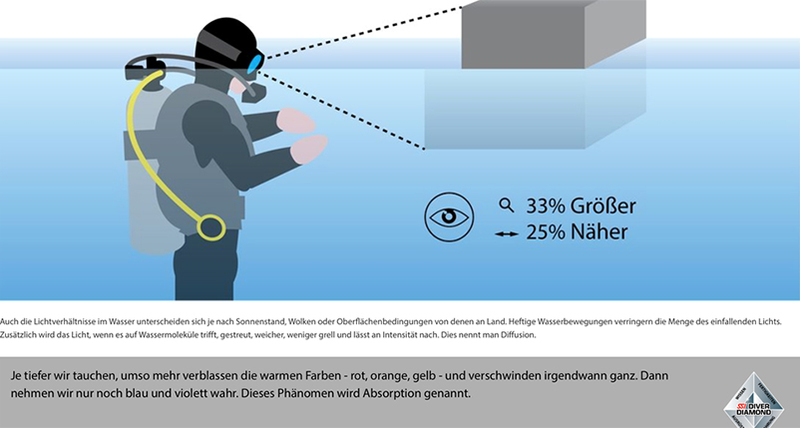 Practical: both PADI and SSI allow to learn the theory of Open Water Divers via eLearning. This means you can start learning right now and do not have to bother yourself with the annoying theory in the upcoming dive holiday. Breathe continuously and never stop the air! This ensures the correct pressure compensation in the lungs when descending and emerging. Never wait for the pain before you start the pressure balancing! When diving, start immediately with the pressure balance, relax and equalize the pressure as often as necessary. If possible, immerse yourself, on a rope, in an upright body posture, the feet ahead. Never dive with a cold or stuffy nose. Mucus blocks the Eustachian tubes and makes pressure equalization more difficult. Never dive with ear buds! If pain occurs, stop the descent and rise again until the pain ceases. Try to equalize the pressure again. If the pain persists, do not dive any further. When pains occur during ascent, stop immediately and then ascent very slowly.